A big Wedding Gown trend has been getting an elaborate bridal necklace / neckpiece and keep the gown figure flattering and simple. The look is elegant and quite personal with a custom made keepsake neck piece. You can have any personal touches you like, initials, colors, and materials. Most of my bridal clients commission me to create the keepsake necklace of their dreams….it is a wonderful honor. 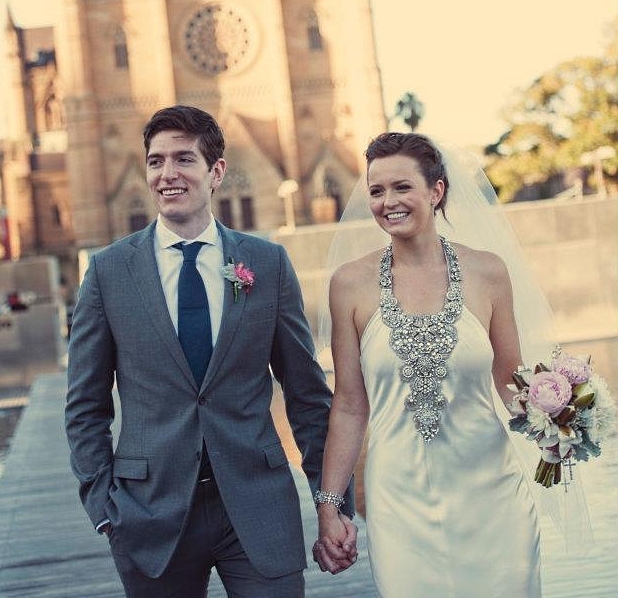 One Response to Amazing new Bridal Necklaces….